• Optical Designs for Electronic Lenses: E-Vision’s patents cover its designs for electronic lenses and optics, including diffractive and pixelated diffractive optics, refractive optics, combination diffractive/refractive optics and adjustable fluidic optics. • Electronics: Patents cover activating (focusing), powering and charging electronic optics remotely, wirelessly and/or anatomically with the electronics either imbedded in the optics or located outside the optic. Other patents cover memory and data transmission. • Specific Applications for Electronic Lenses: The patent portfolio covers the application of Smart Focus Optics for eyecare (contact lenses, IOLs and spectacles), mobile media (optics for cameras, web cams, the “Internet of Things”), ophthalmic diagnostic devices (the electronic phoropter, for example) and more. • Flexible Optics: E-Vision’s patents also cover the use of flexible (foldable) electronic lenses, optics and electronics for its eyecare applications. • Support: E-Vision also numerous additional patents on the processes and methods required to fabricate electronic lenses and optics. • Wearables – The Internet of Things: Patents covering the attachment of electronic devices to wearable frames and/or inserting electronics into the frames are included in e-Vision’s patent portfolio. E-Vision is a privately held Delaware-based Corporation with its development facility and administrative offices located in Sarasota, Florida. The parent company was established in 1999 and its initial focus was technology licensing and transfer activities for lens-based applications. In 2010, e-Vision expanded its development platform to address all conventional and/or fluidic/liquid lenses that have electronics associated with them. E-Vision believes that its technology will have a transformative influence on the complex lens systems required to bring what can be imagined to reality. e-Vision maintains control over all of its own technology E-Vision has its development facility and administrative offices in Sarasota, Florida. In Sarasota, the company leases a 6,500 square foot facility which is comprised of a well-equipped optics lab, model shop, lithography lab, machine shop and a clean room for optics assembly, which permits the company to do its own micro-lithography and glass work. E-Vision has the in-house capabilities to design, fabricate and test electro-active optics based on its proprietary lens designs. Joel has been advising ophthalmic related companies on technology transfer, operational, financial and legal matters for over thirty years. Joel is one of the co-founders of The Egg Factory, LLC, which for 17 years has focused on enabling and facilitating new technology in the ophthalmic industry. He is the founding member of Zcounsel LLC, which for 15 years has worked with ophthalmic and other health care companies. From 1986 to 1997, Joel Zychick was a Partner of the New York law firm of Hertzog, Calamari & Gleason where he directed its tax and business investment practices. He represented companies operating in a number of facets of the ophthalmic industry (including managed vision care providers, multi-state retail eyecare and eyewear providers and optical equipment manufactures). From 1997 to 2000, Mr. Zychick served as interim president of Welcome Wagon, Inc. (formerly GETGO Group, Inc.), an international direct mail and publishing company, following its acquisition by Cendant, Inc.
Joel serves on the Board of Directors and is Senior Vice President of Northside Center for Child Development, Inc., a New York based non-profit mental health and early childhood development agency serving over 3,000 children. Tony Van Heugten is the Chief Technology Officer of e-Vision and a principle inventor of its liquid crystal tunable lens technology. Prior to joining e-Vision in 2007, Mr. Van Heugten co-founded WaveTec Vision Systems, Inc. (“WaveTec”) in 2000 serving as Chief Technology Officer, co-inventing the intra-operative wave front sensor that improves visual outcomes in eye surgery. In 2014, WaveTec was sold to Alcon. Mr. Van Heugten has worked with many thought leaders in the ophthalmic community developing numerous successful products such as an instrument that creates stitch-less incisions for cataract surgery in one pass and an instrument to remove an implanted IOL through a 3 mm incision. Mr. Van Heugten has also managed numerous other successful technical projects both inside and outside of ophthalmology including the development of new products in interventional cardiology (MedClose), vascular access (Johnson & Johnson) and laser-vision-correction lasers (Summit Technology). He also was a co-developer of e-Vision’s electro-optic phoropter for performing vision examinations. Mr. Van Heugten is named as inventor on over 100 patents and patent applications. Peter Bennett – Mr. Bennett is the founding Partner and Chairman of Liberty Partners, L.P., a New York based private equity firm. Since its formation in 1992, Liberty has made investments in approximately 45 companies in a wide variety of industries, including manufacturing, healthcare, financial services, consumer products and technology. Prior to founding Liberty, Mr. Bennett spent 21 years with Merrill Lynch & Co. in several capacities, including Manager of Private Financing activities, Managing Director of Merrill Lynch Capital Markets and Senior Vice President of Merrill Lynch Interfunding Inc., the middle market principal investing arm of Merrill Lynch. He is also a member of the Board of Trustees of Lehigh University. Michael Latzer – Mr. Latzer is President and Chief Executive Officer of Shamir USA, an Affiliate of Shamir Optical Industry Ltd. (“SOI”), which is one of the world’s leading manufacturers of high-quality progressive and single vision lenses and molds. Michael joined SOI in Israel in1989. In 1990 he relocated to the United States to open Shamir USA to serve the North American customer base of SOI. Michael Packard – Mr. Packard is Chairman of High Performance Optics, Inc. 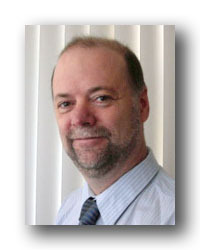 In 1999, Mr. Packard created his own firm, TransCat Consulting, helping organizations “make change that matters, and get results that count.” Mr. Packard focuses on maintaining ongoing consulting relationships with several private sector companies, concentrating on leadership development and strategic planning, but offering a wide range of organizational and functional expertise. Previously, he held a number of positions at Procter& Gamble (1972-87) and at LensCrafters (1987-1999). At LensCrafters, he served as Executive VP and Chief Administrative Officer. Mr. Packard also serves on several other Boards. Brendan Sheil – Mr. Sheil has over 20 years’ experience in sales and marketing in Ophthalmology developing relationships and overseeing the sales and strategic development of various ophthalmic products worldwide. Since 2009, he founded and is president of Synergy Ophthalmic Solutions, LLC, a Midwest based ophthalmic device distributor and consulting firm. Previously Mr. Sheil was Vice President of Commercial Operations of the Americas for Bausch + Lomb Surgical. In his senior roles, he developed various go to market strategies and successfully implemented these strategies with internal and external sales operation teams. He is a frequent speaker on product implementation strategies and practice development. Brendan serves on as a member of the Board of Directors and as a strategic advisor to various established and start-up ophthalmic companies. William (Ed) Tyler – Mr. Tyler is currently CEO of Ideapoint Ventures, an early stage venture fund that focuses on nanotechnologies. Mr. Tyler has served on First Industrial Realty Trust’s Board of Directors since March 2000. Mr. Tyler also served as Lead Director and Interim CEO of First Industrial from October 2008 through January 2009. 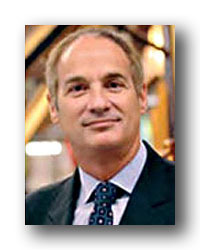 Prior to joining Ideapoint, Mr. Tyler served as President and CEO of Moore Corporation Limited. Previously, Mr. Tyler worked for 24 years with R.R. Donnelley & Sons Company in various roles. He also was responsible for 77 Capital, an early stage venture capital subsidiary of Donnelley. Mr. Tyler is a member of the Board of Directors of Lake Forest Graduate School of Management, where he is also an adjunct faculty member. Philip J. Bos, Ph.D. – Dr. Bos is Associate Director of the Liquid Crystal Institute and a Professor in the Chemical Physics Interdisciplinary Program at Kent State University. He is the inventor of the pi cell and an alignment method for SmC* devices. His research interests include novel liquid crystal devices and applications. Dr. Bos advises the company on liquid crystal lens modeling and design and lens fabrication methods. Dwight Duston, Ph.D. – Dr. Duston has managed several billion dollars of federal technology programs, taught postgraduate courses in technology management, and directed military projects in adaptive optics. He is the co-inventor of the electro-optic ophthalmic lens technology, inventor of the original e-phoropter lens stack design, and program manager of the e-Vision e-Phoropter project. James Schwiegerling, Ph.D. – Dr. Schwiegerling has been actively involved in electro-optic component testing in clinical settings for vision correction. He has worked with e-Vision lenses to correct for higher order aberrations of the eye as well as testing of advanced ocular wavefront sensors. Dr. Schwiegerling is also a professor in the Department of Optometry at the University of Arizona. Helbling Technik Bern AG: Development of micro-electronics and integration of e-Vision optics with micro electronics.